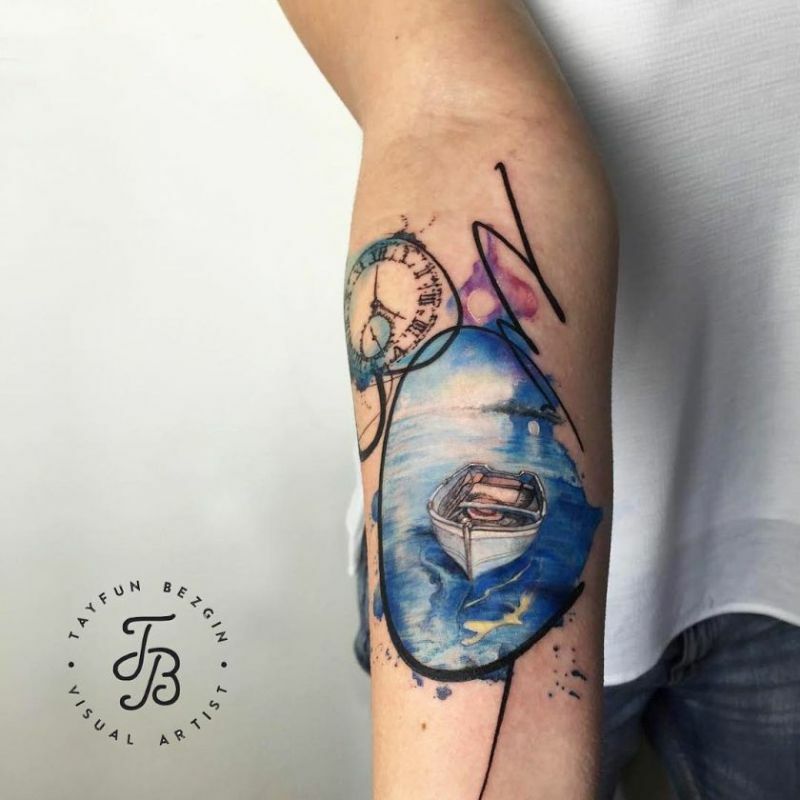 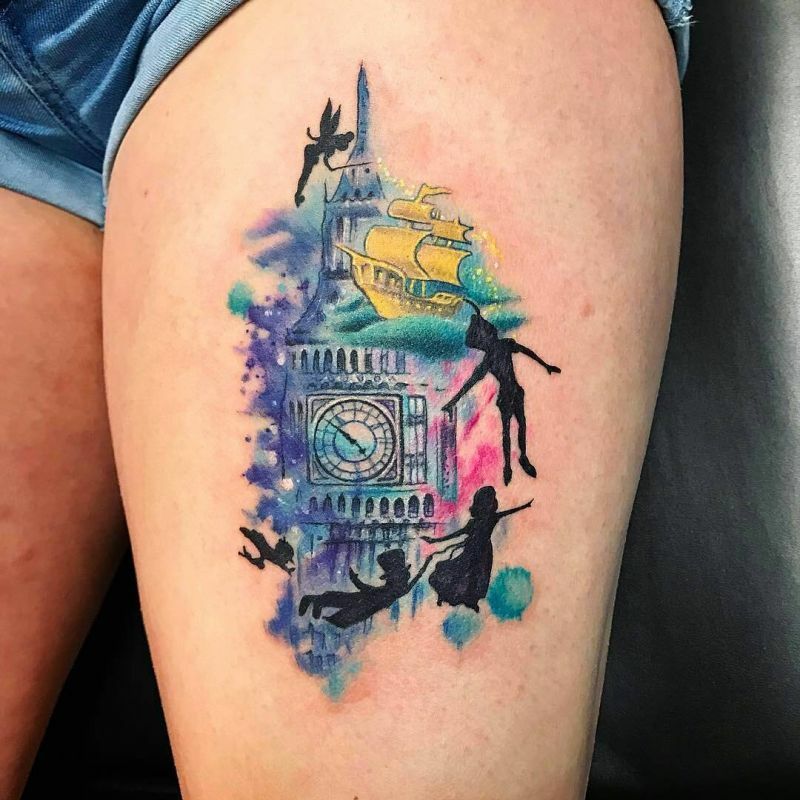 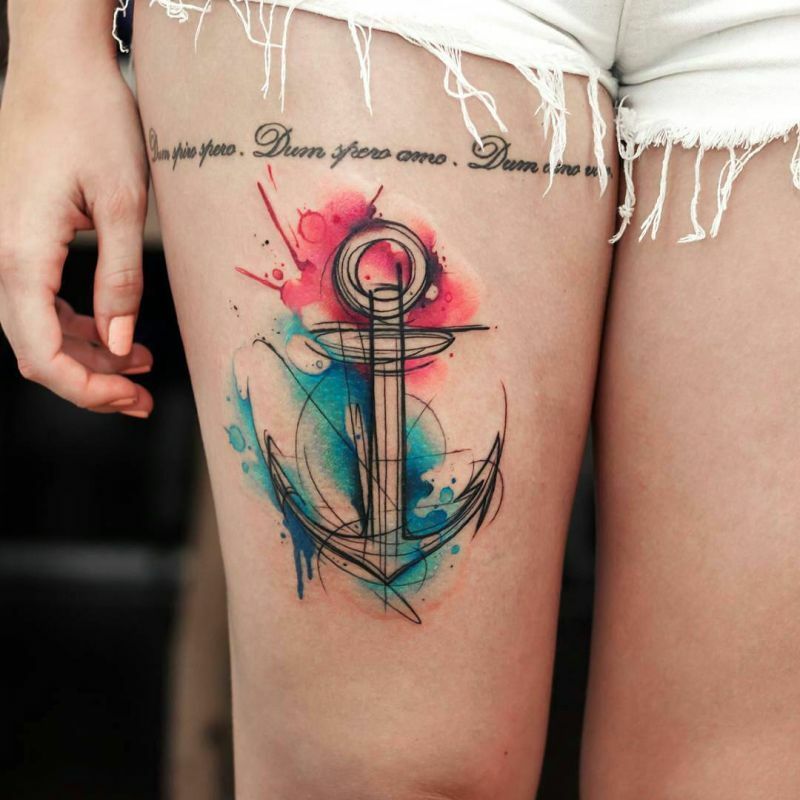 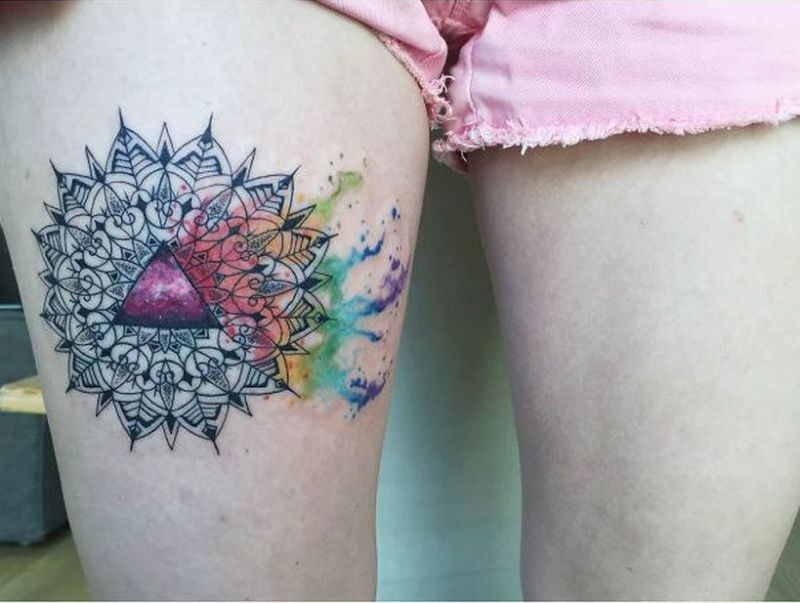 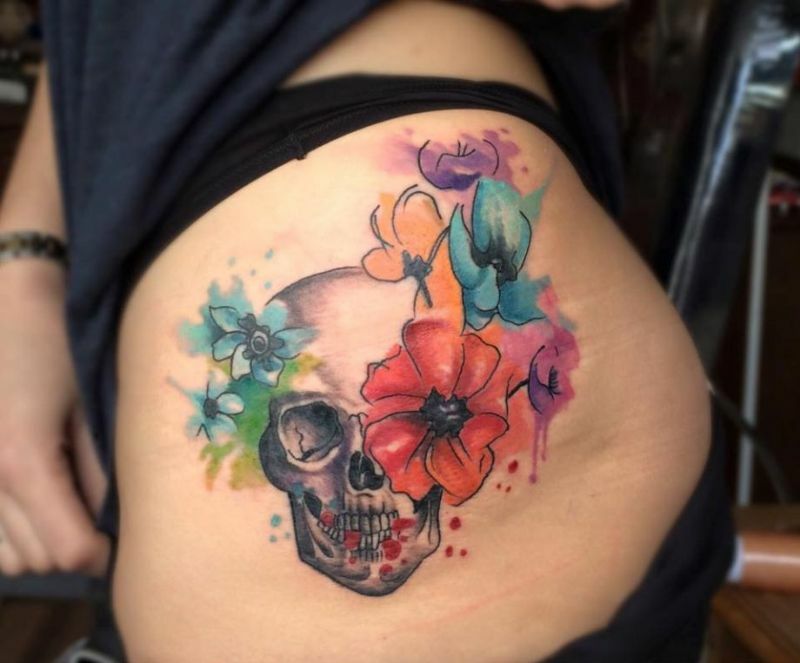 Watercolor tattoos have become increasingly popular, especially in the past few years, as a more pronounced blending of tattoo art with more classic art has been seen. 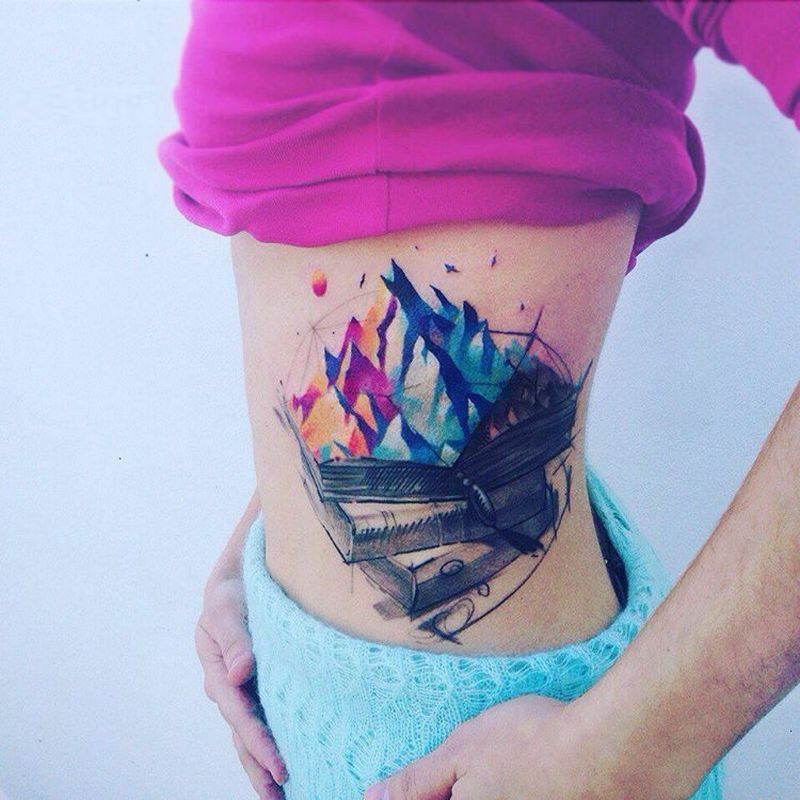 This aesthetically-pleasing tattoo style greatly resembles free form watercolor paintings, with bright colors and abstract inspirations. 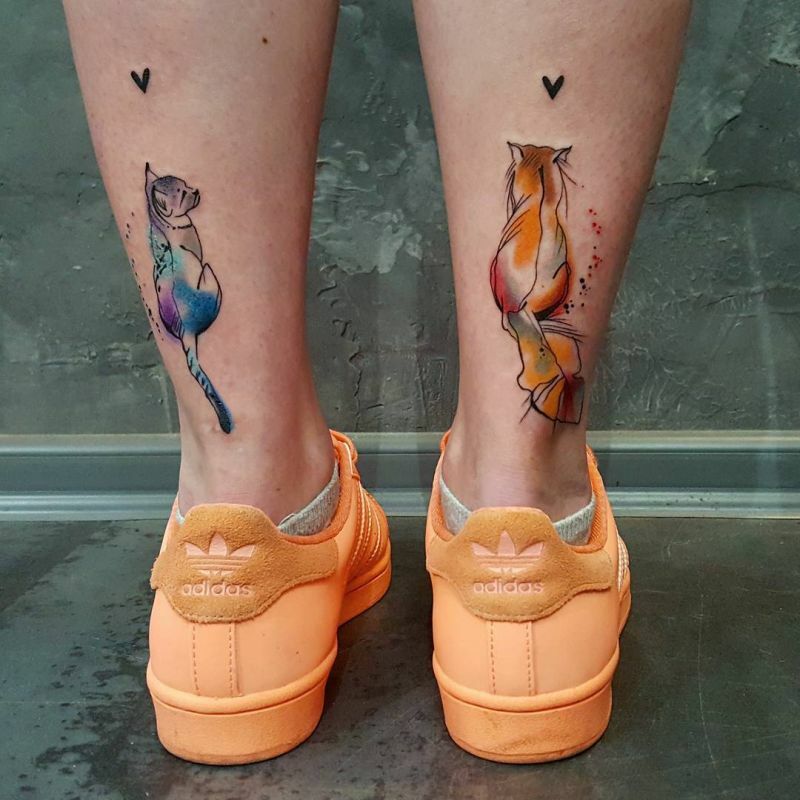 But before you go running to make your artsy tattoo dreams a reality, there are some things you should know about this ethereal style that took the body inking world by storm. 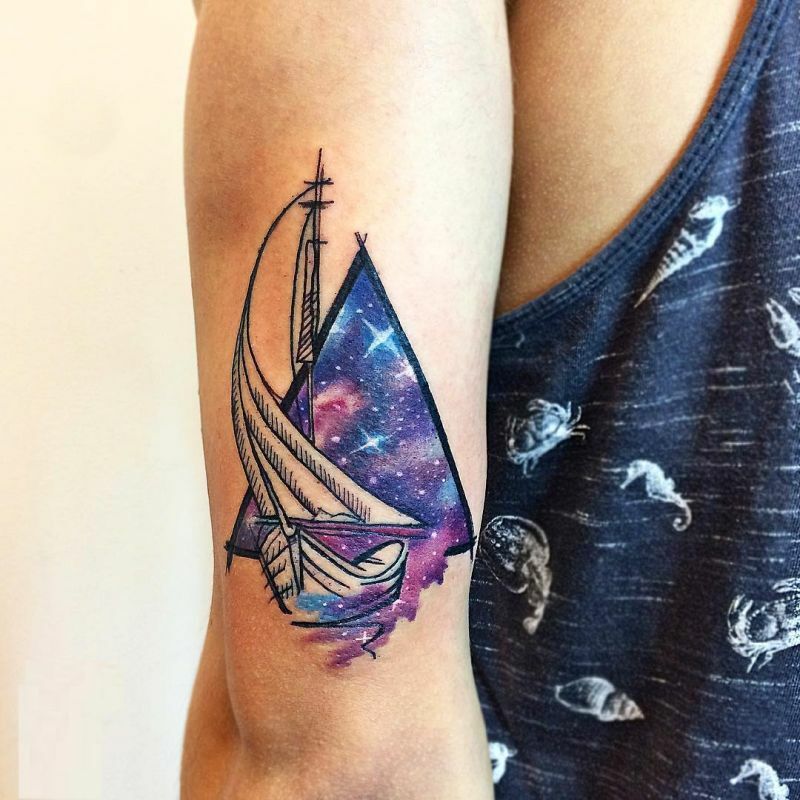 So, what is watercolor tattoo and what are the pros and cons of watercolor tattoos? 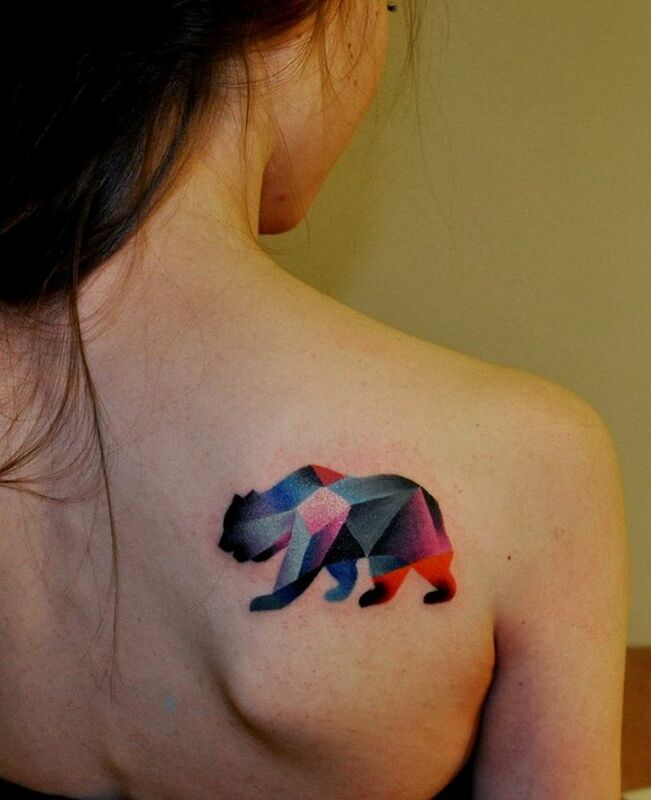 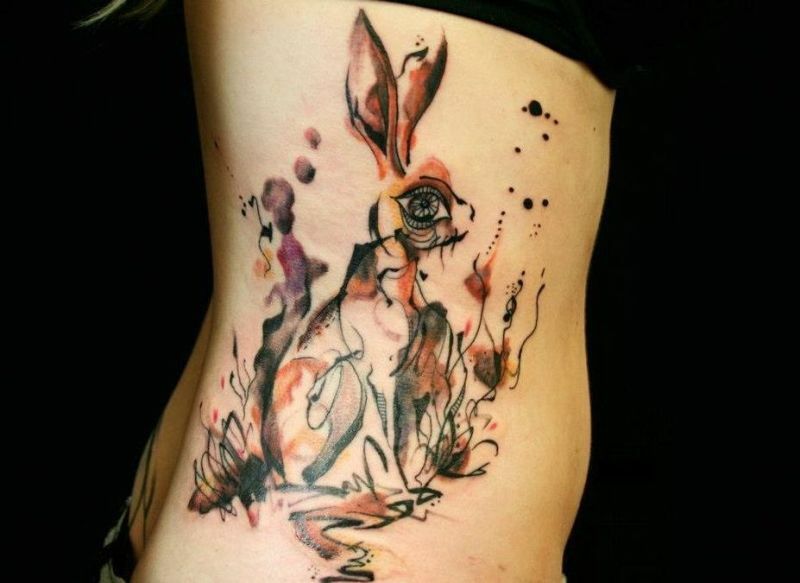 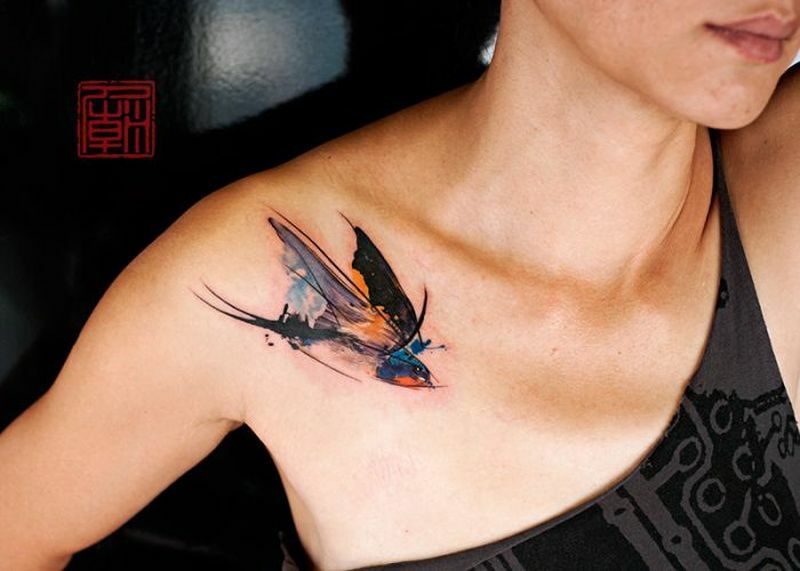 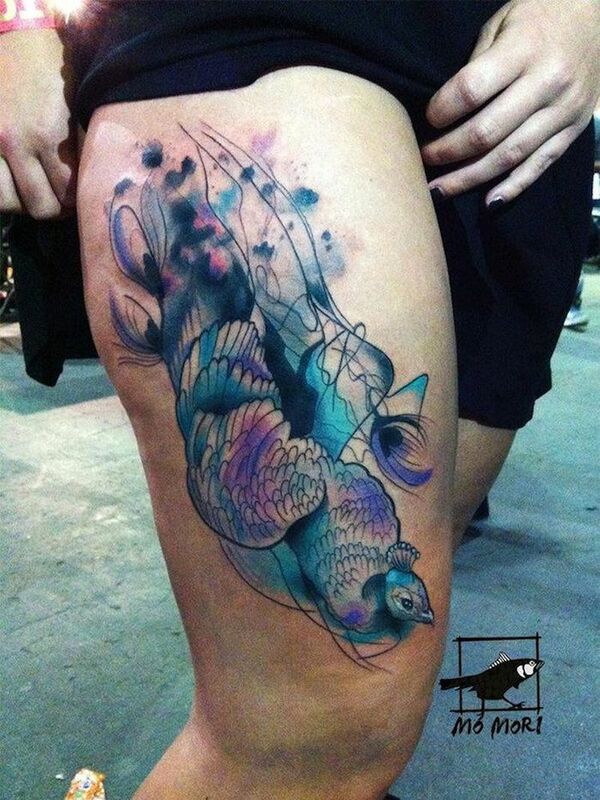 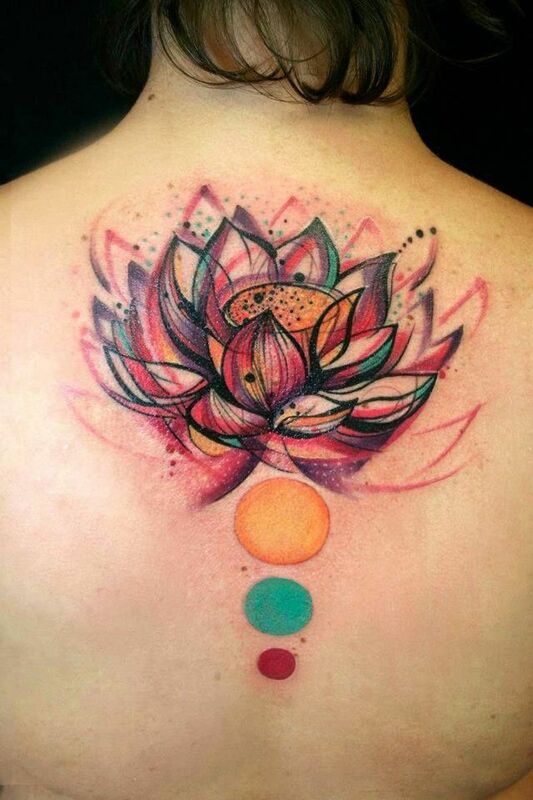 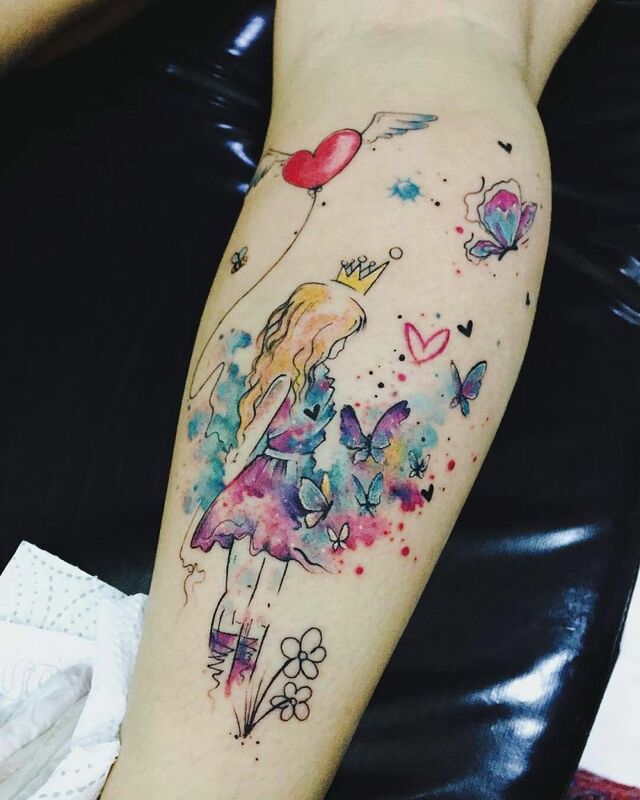 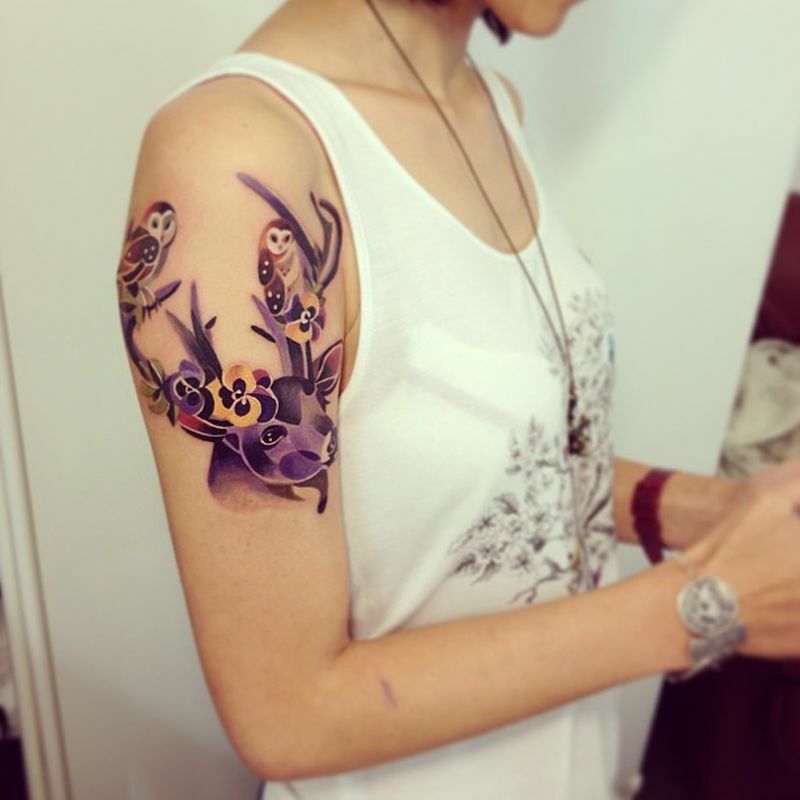 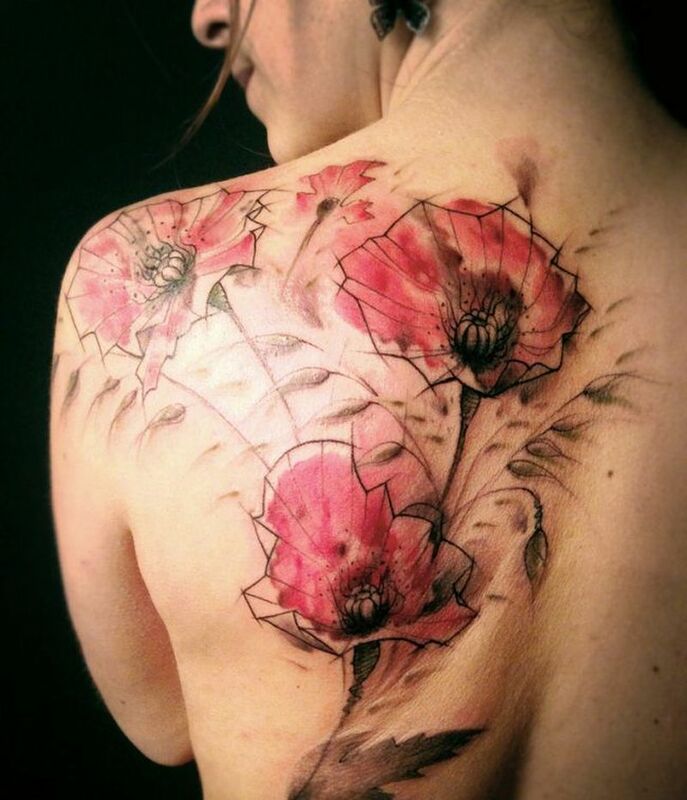 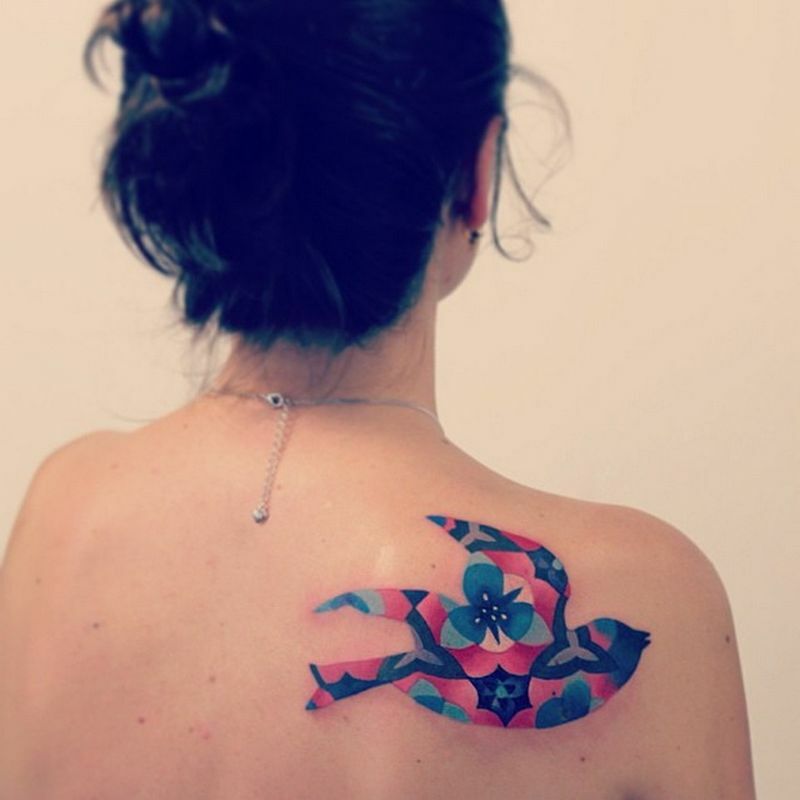 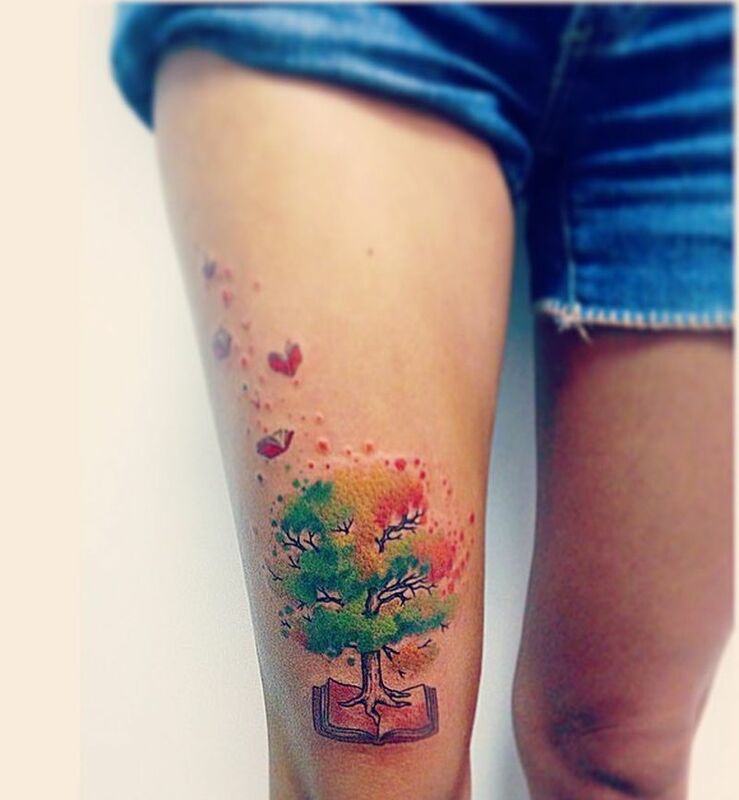 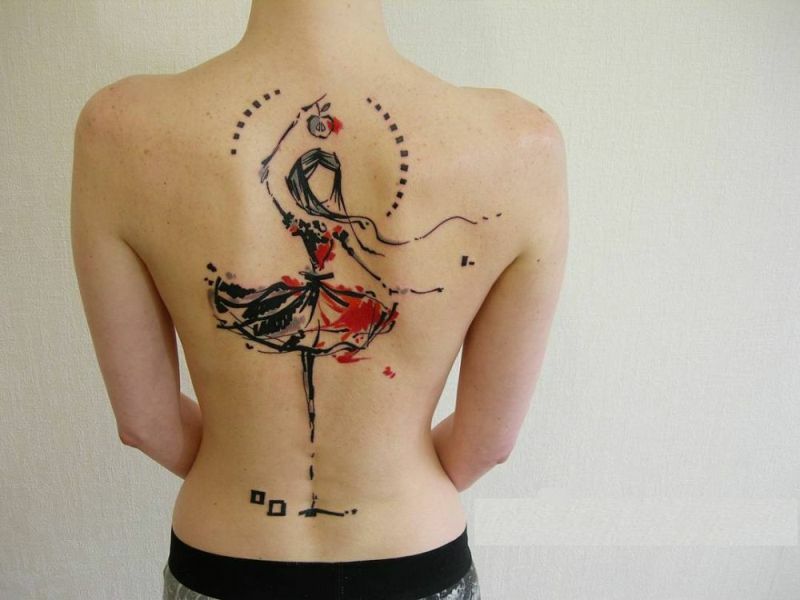 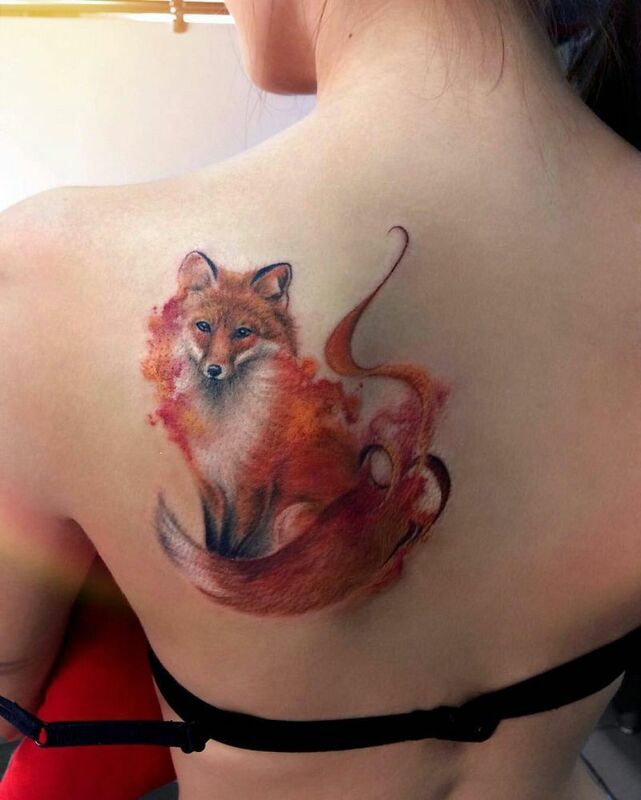 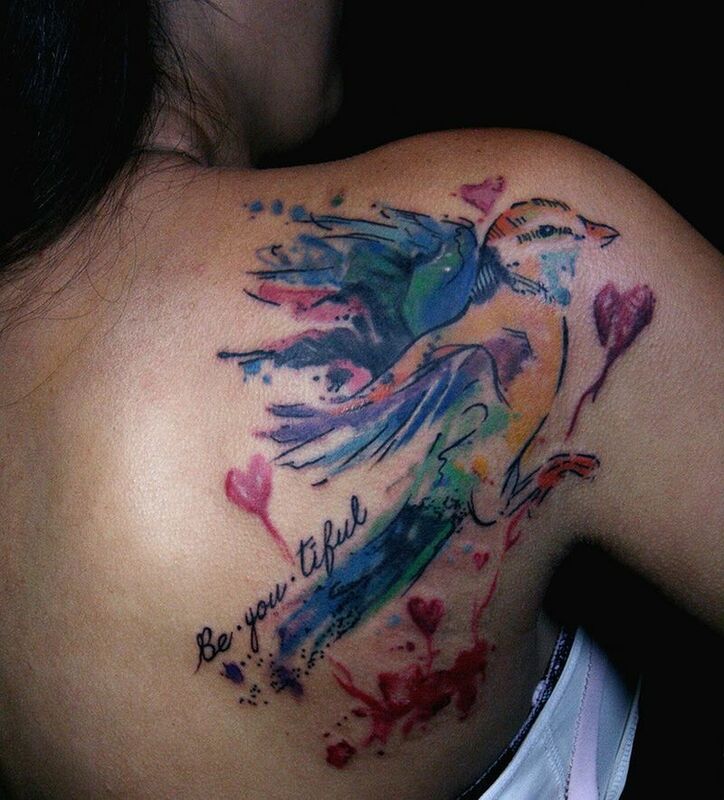 Undoubtedly, watercolor tattoo style is one of the most spectacular forms of body art. 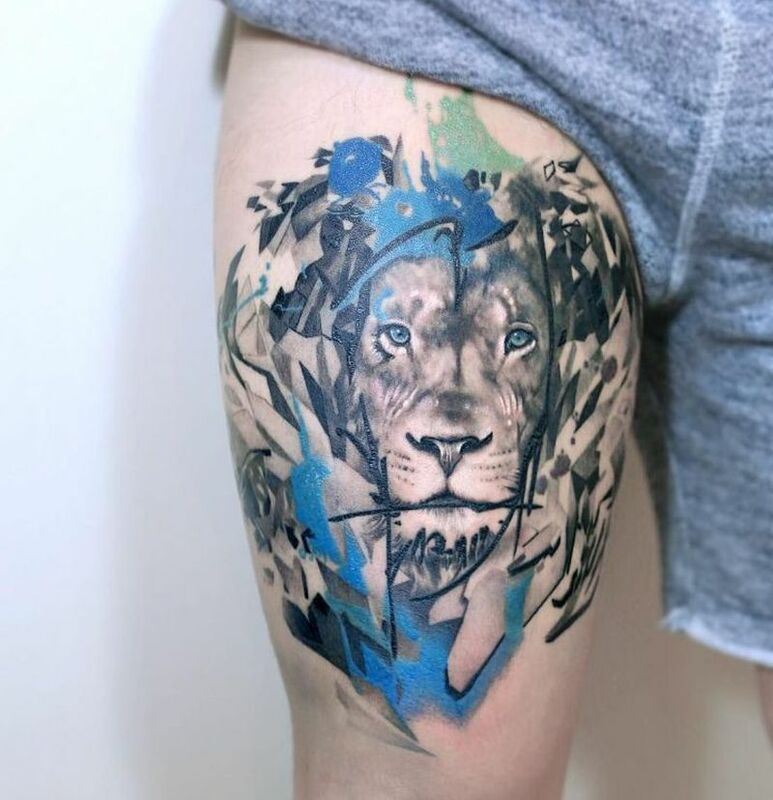 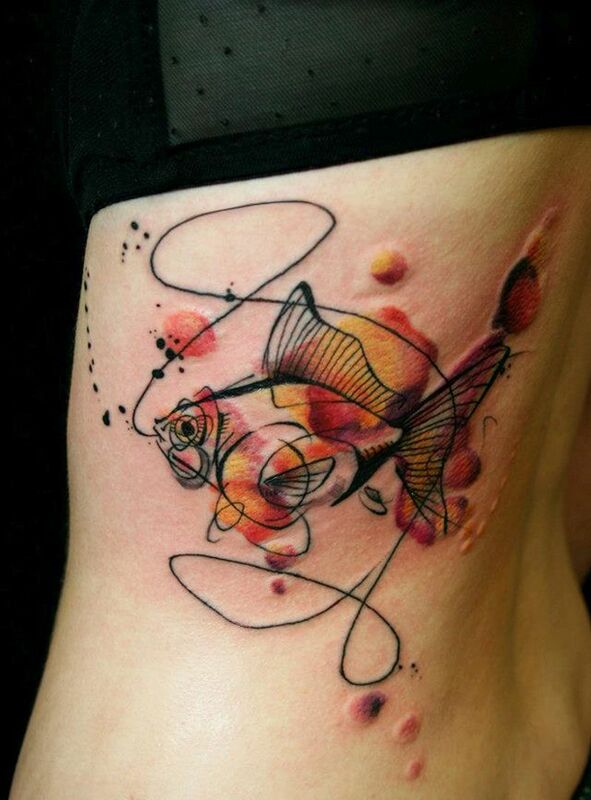 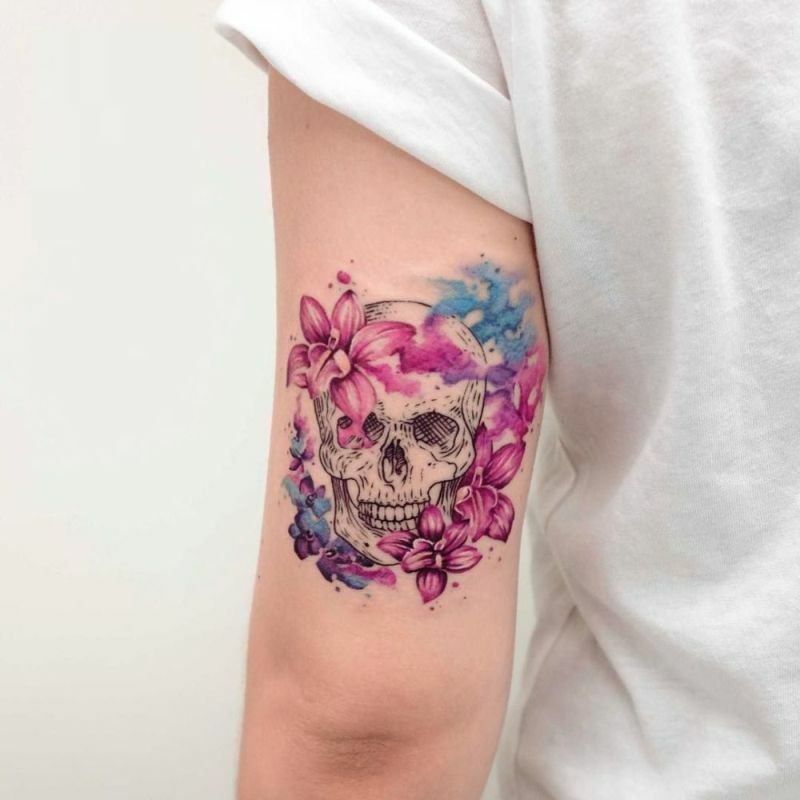 Some of the most impressive tattoos on the planet are done in this style, a mix of blended colors and blurred lines to create beautiful works of art. 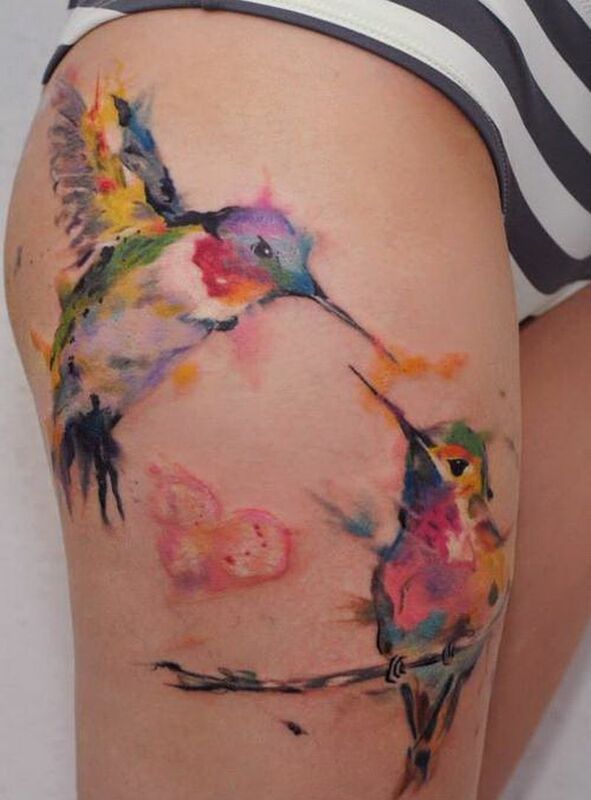 But it the end watercolor tattoos are just tattoos that look as if they’ve been painted with watercolors. 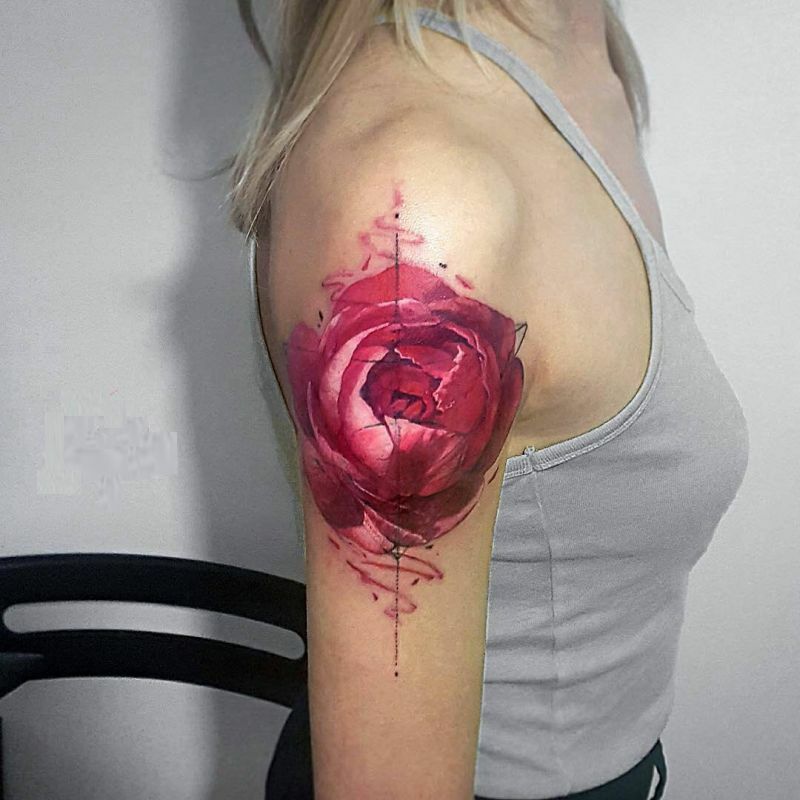 The style is the only thing different, the same ingredients , techniques and tools are used but the focus is on simulating the watercolor style effect. 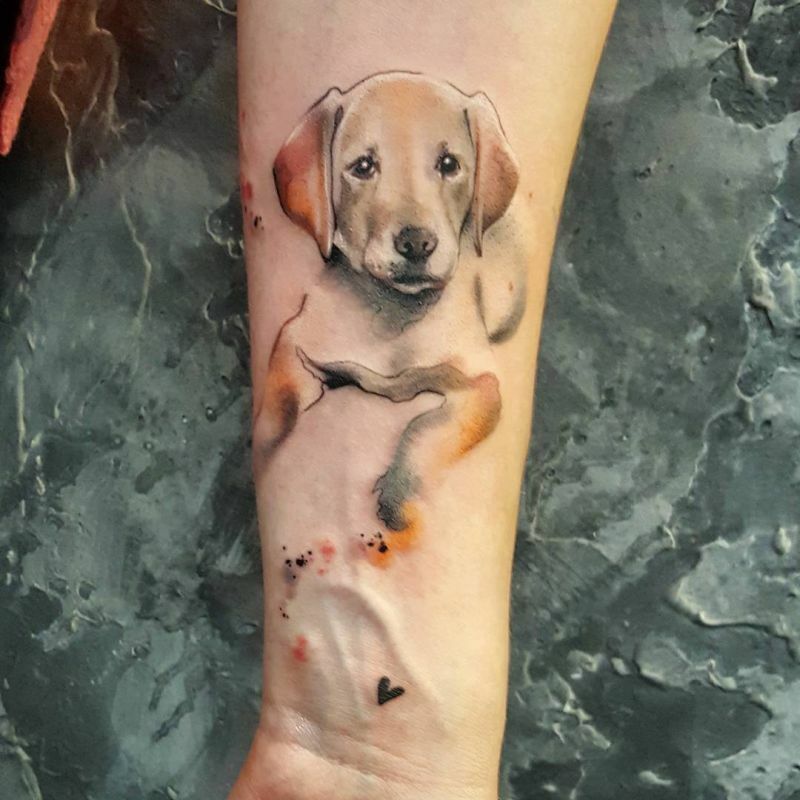 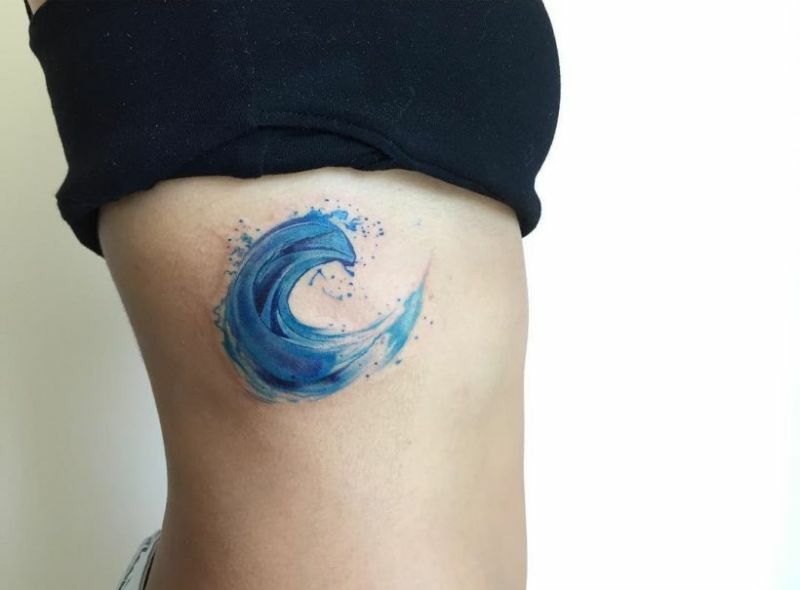 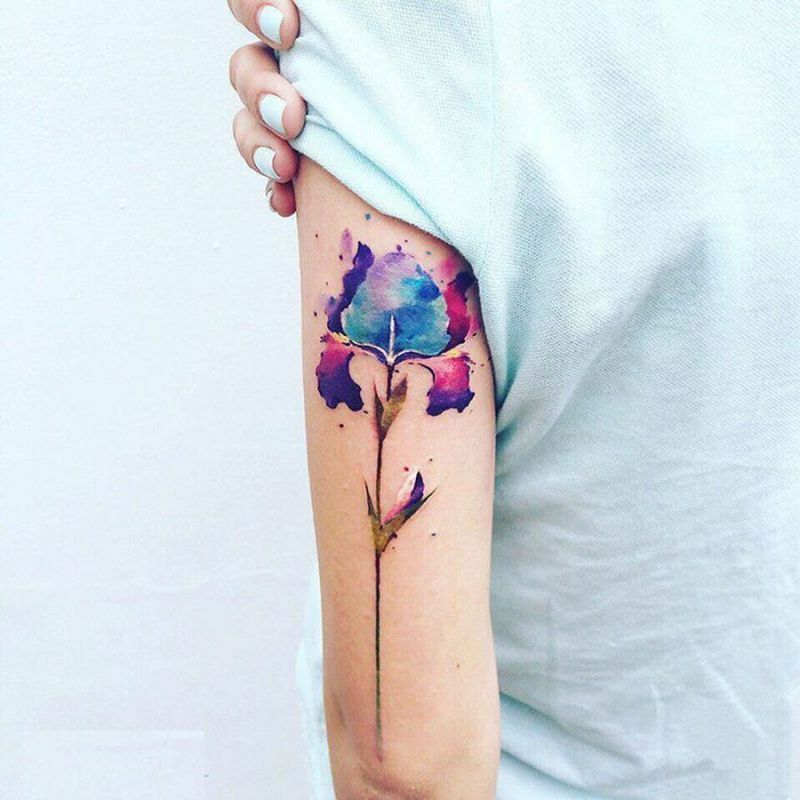 Because there is not fill in the lines and defined shapes, watercolor tattoos allow the artist to take on a different approach on the classic, traditional tattoo and the results are quite spectacular. 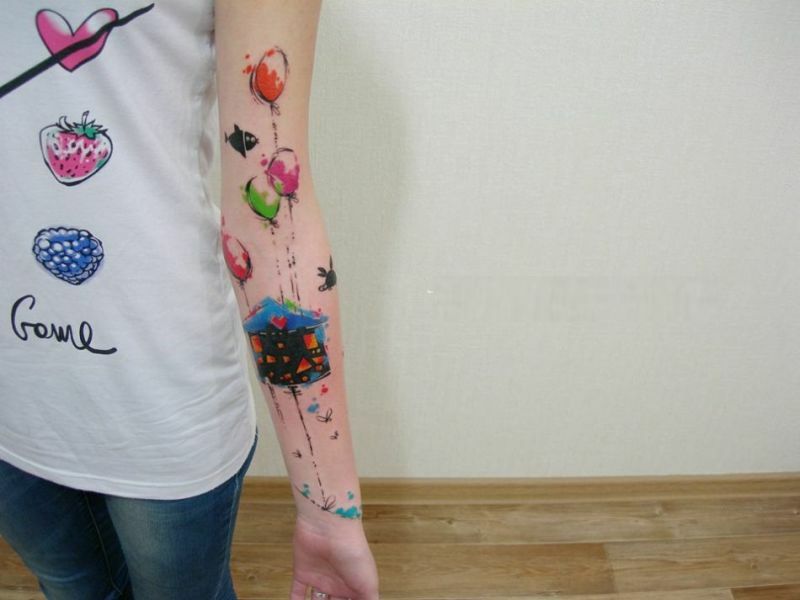 Splatters, blurs, bleeds, runs, fades, shades are used to create stunning ink pieces that turn the skin into a living canvas. 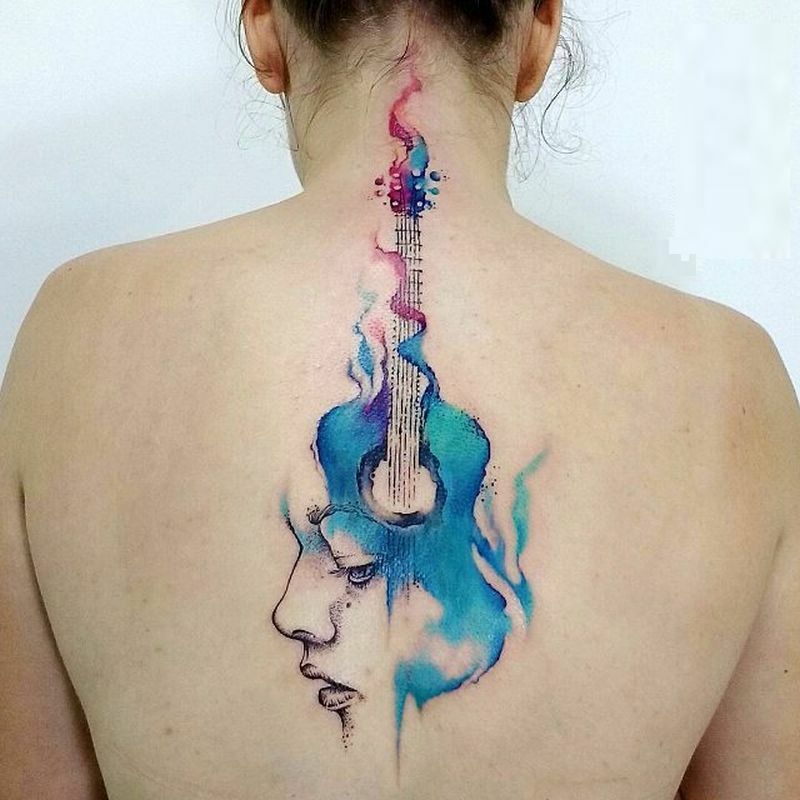 What seems to be their strong point – the lack of lines giving a free way to artists creativity – is at the same time the most controversial aspect of this style. 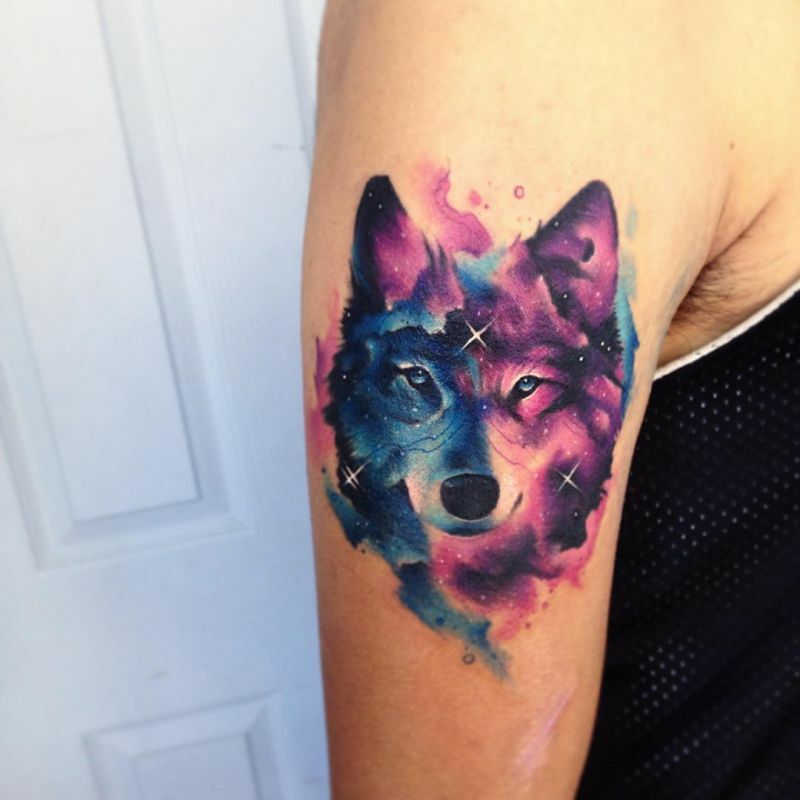 The main concern with watercolor tattoos is the lack of dark and defined lines. 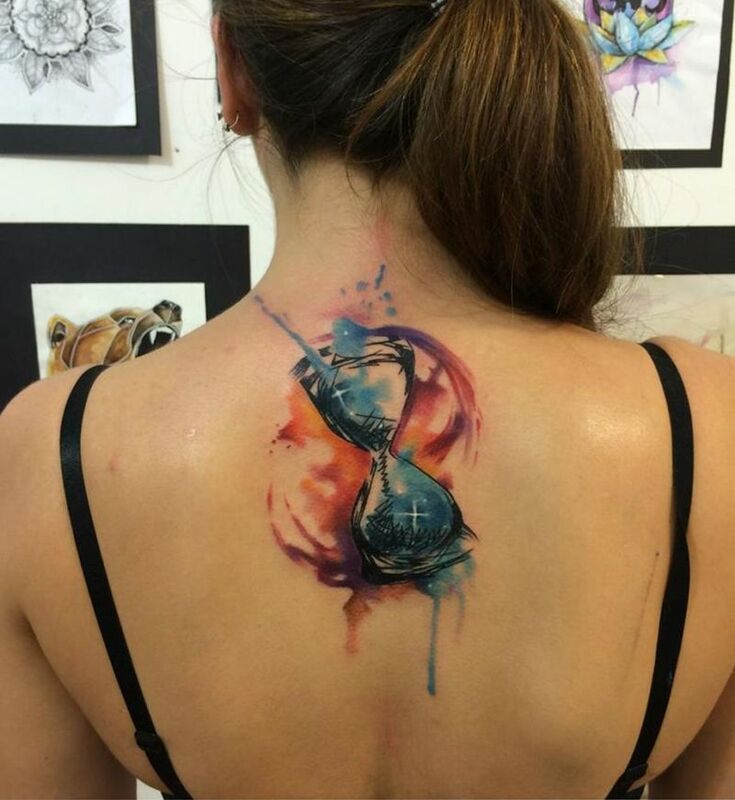 Once the ink begins to fade and blur, will the abstract image become a big blob of indiscernible color? 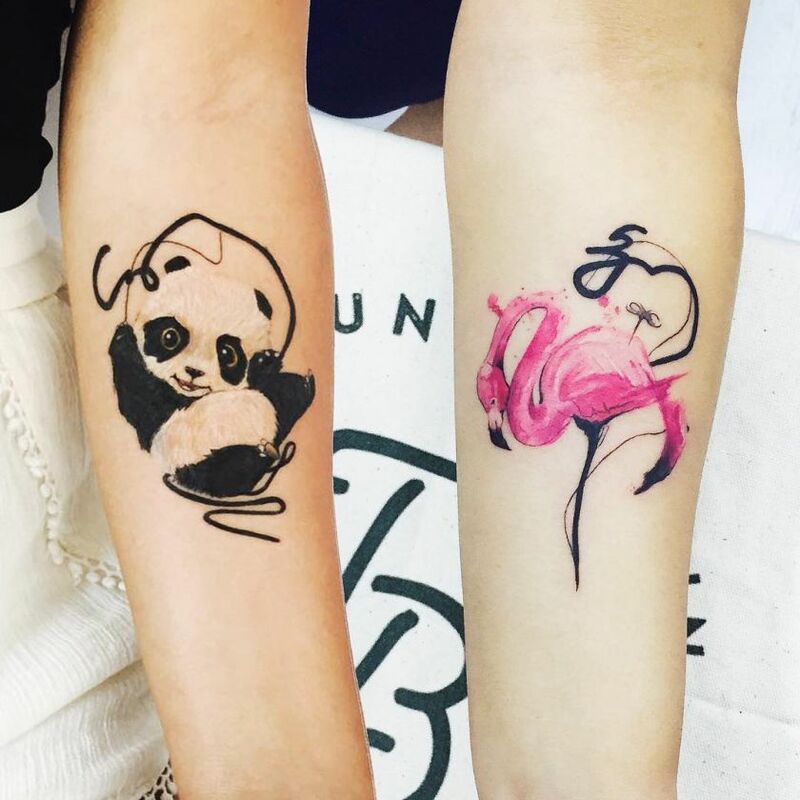 It is true that watercolor tattoos with little to no black, and all soft colors could probably fade much quicker than a traditional tattoo. 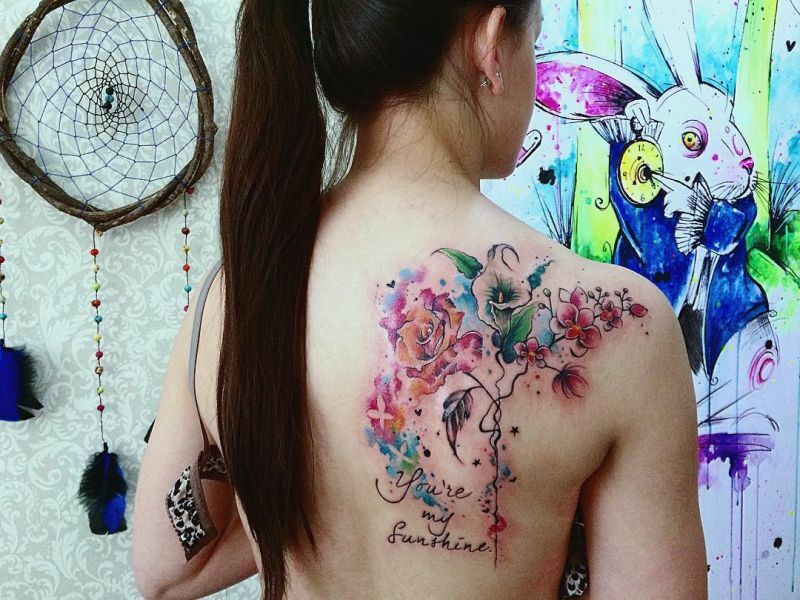 That does not mean it will. 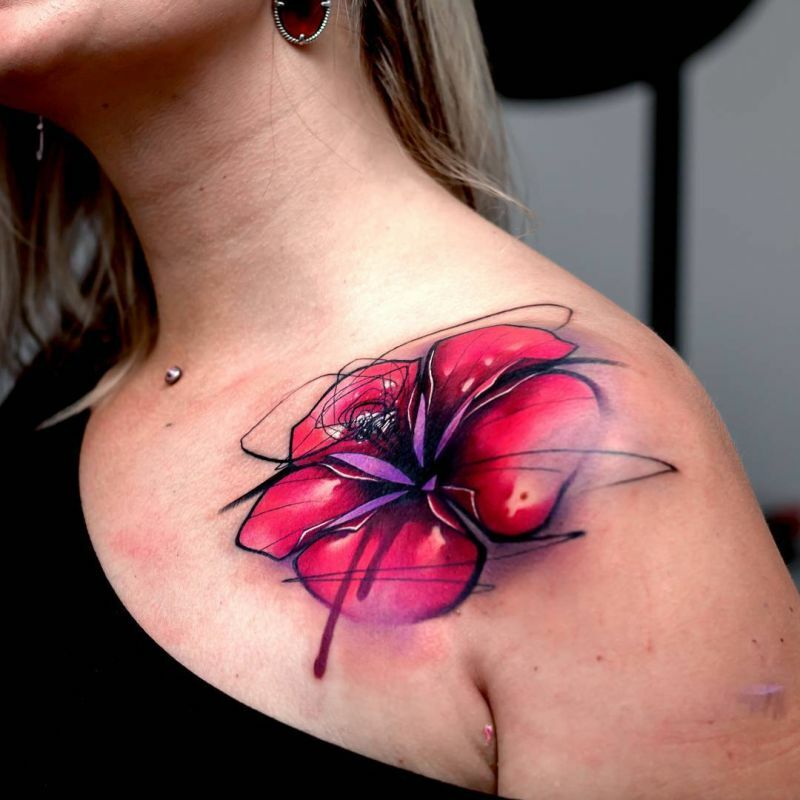 There are more factors that contribute to how it ages, such as the skill of the artist, the equipment and pigments used, the size and placement of a tattoo, time in the sun, as well as how the skin was cared for. 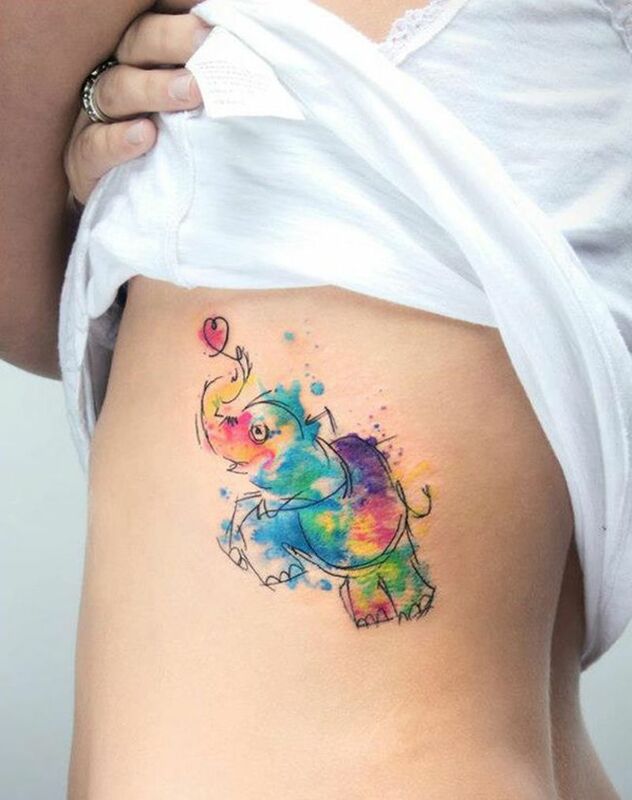 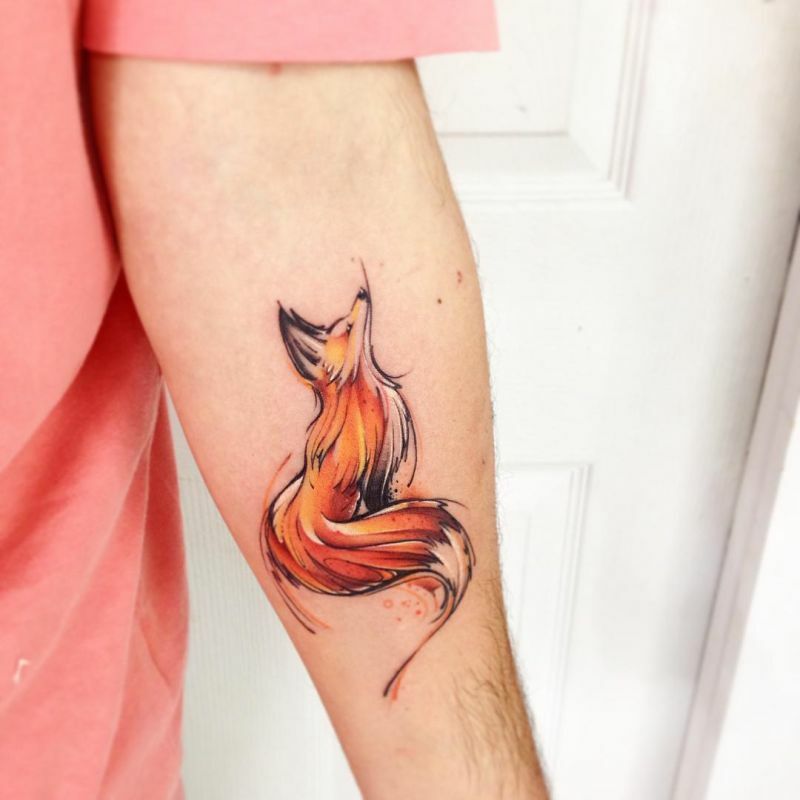 And whilst this is true, and lighter colors do tend to fade quicker than darker colors and blacks, a good artist who is experienced in creating watercolor tattoos should be able to greatly reduce the chance of watercolor tattoos becoming unrecognizable as they age by applying a good black base layer, and by creating much more depth in contrast. 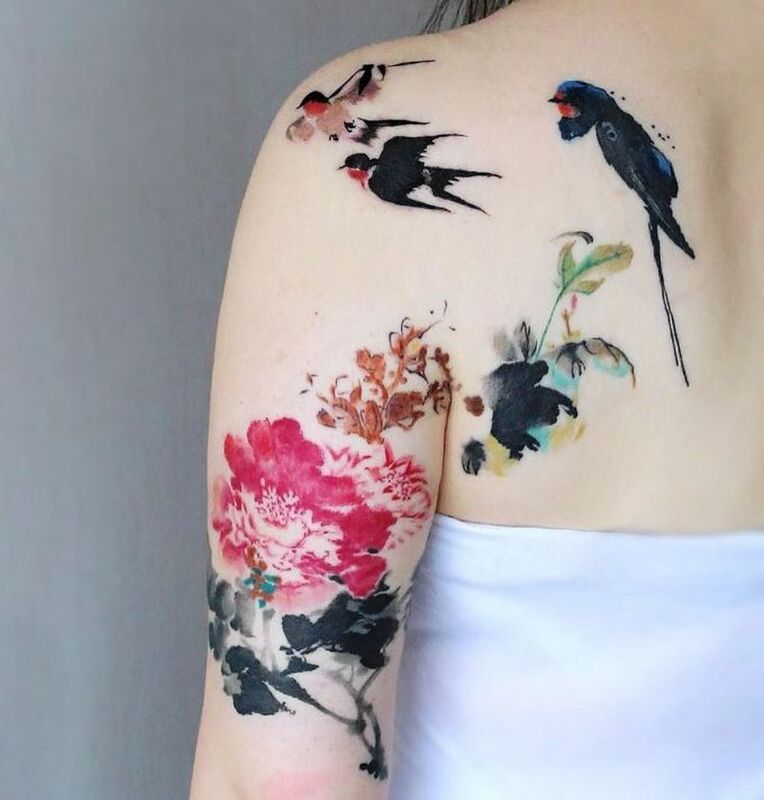 Simply put, all tattoos fade eventually – even solid black ones. 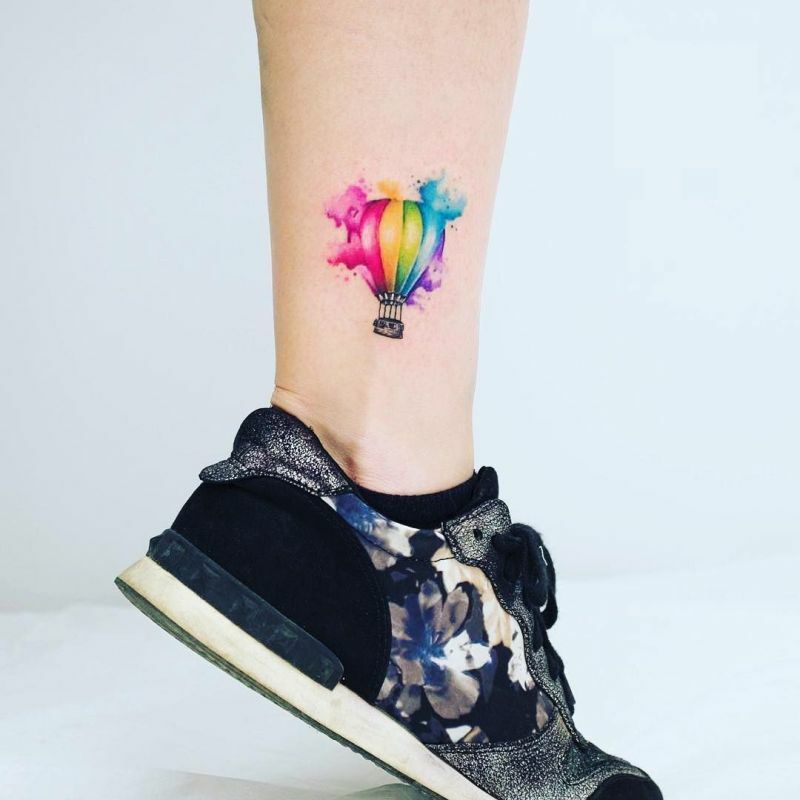 It’s not real uncommon for a tattoo to need a touch up sometimes to begin with – eventually even the traditional tattoo will need a touch up as well. 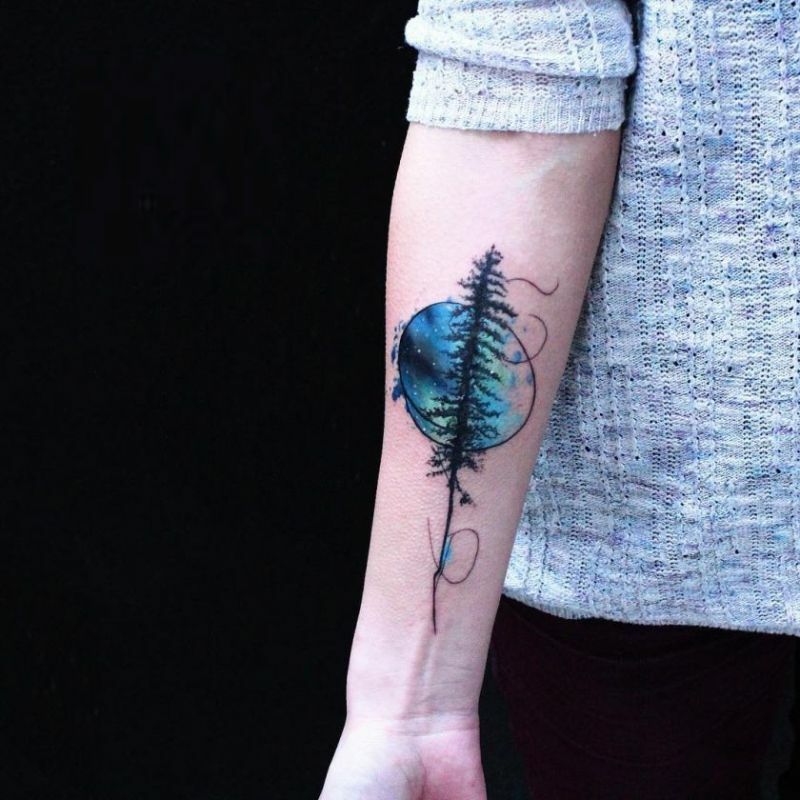 Whilst watercolor tattoos may fade slightly quicker, it should be easy enough to apply a touch-up to a well-thought out tattoo. 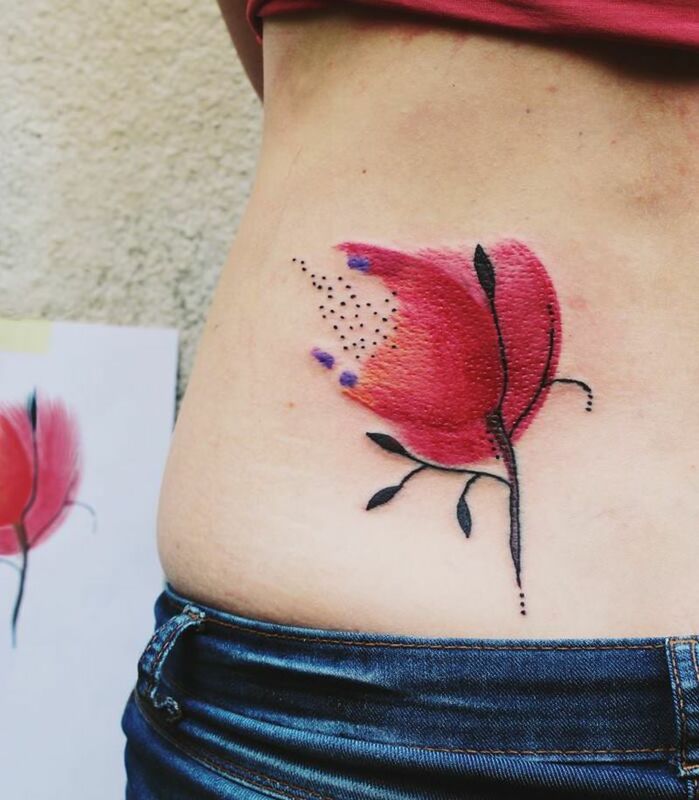 In the end, what should you do if you want a watercolor tattoo ? 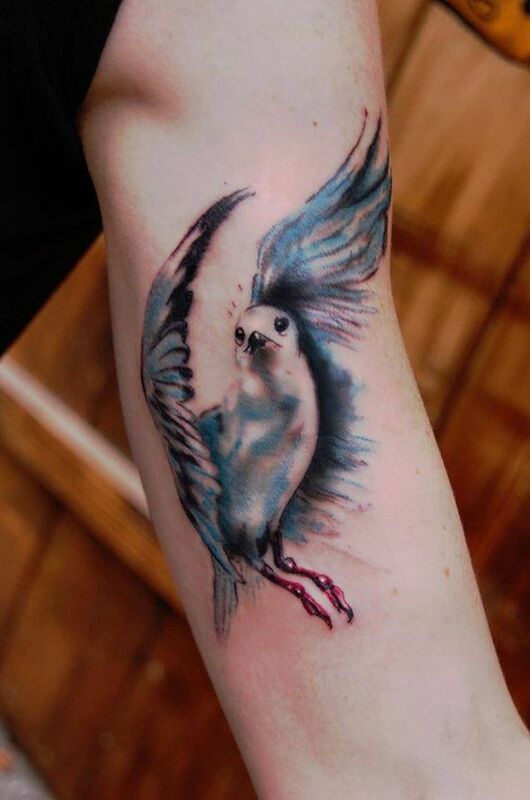 Make sure you find an experienced artist who specializes in watercolor tattoos and check out his portfolio to see if you like his works, be open to adding black to your design and be open with the size or placement of your design (to get those nice watercolor blends, there has to be enough room to make it happen). 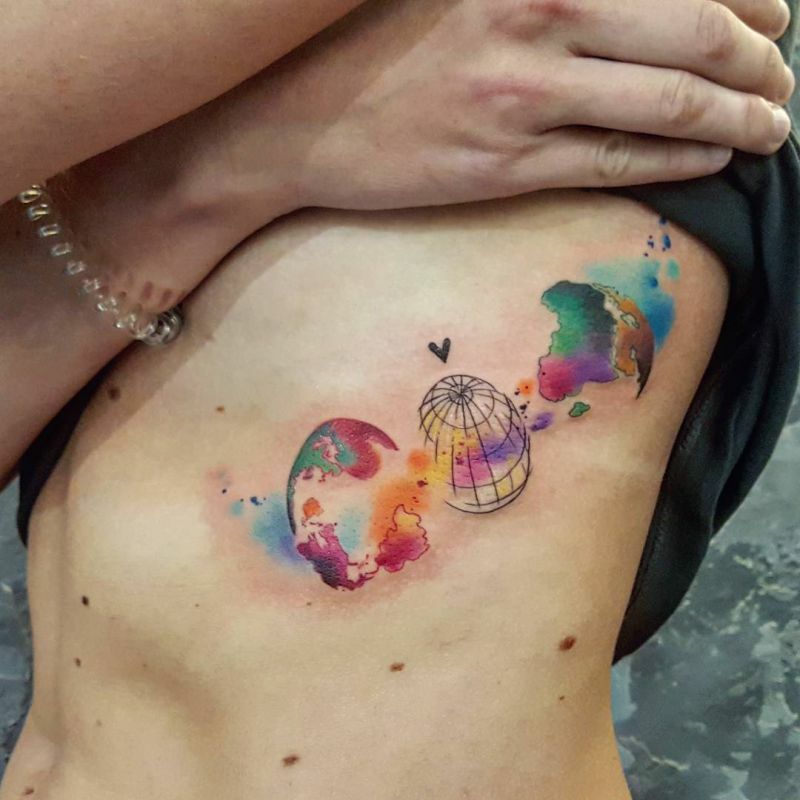 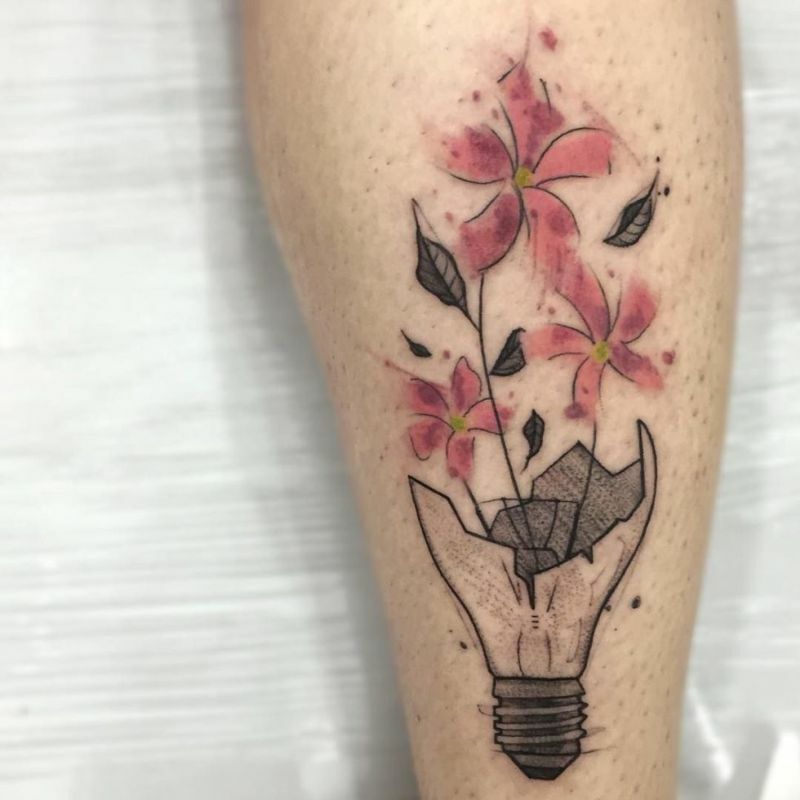 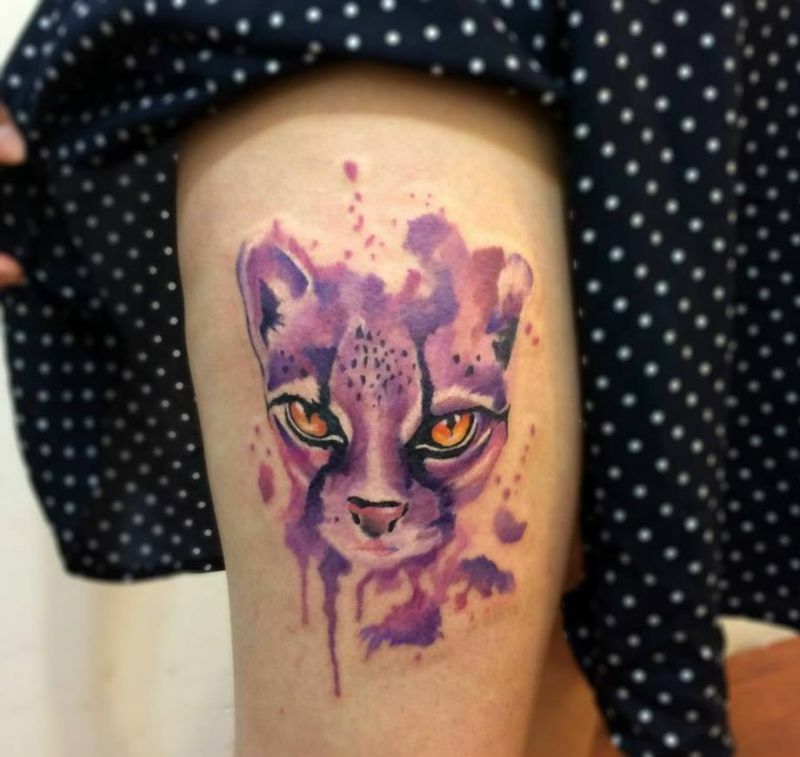 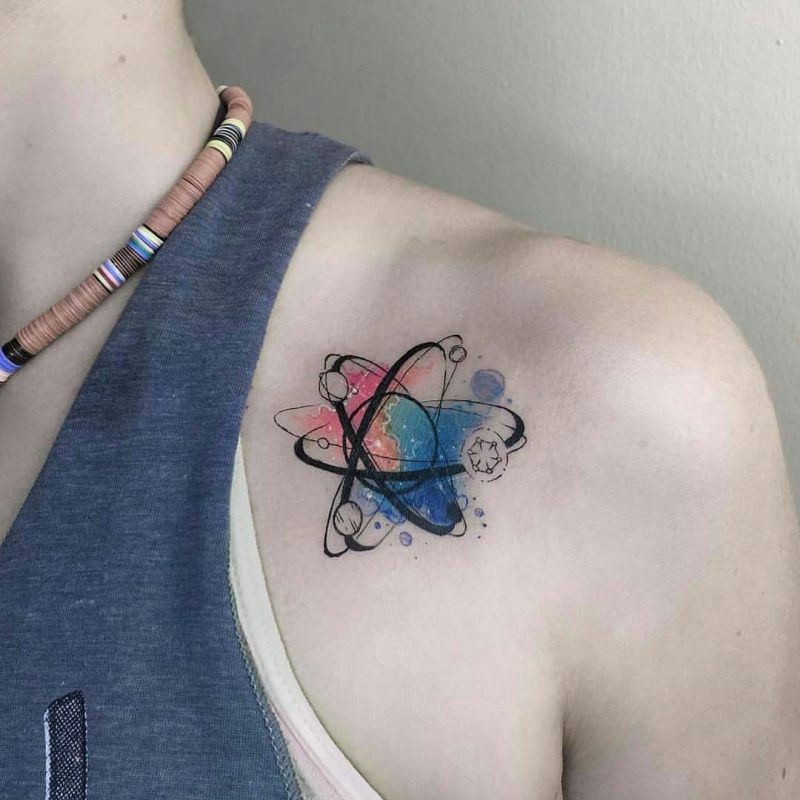 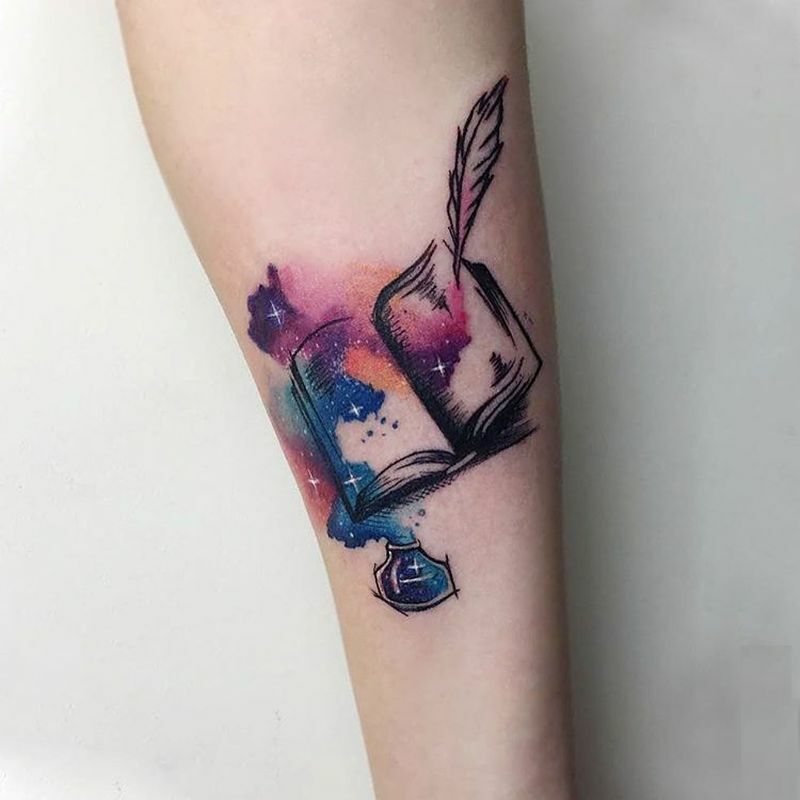 Check out the image gallery below to see some of the finest watercolor tattoos created by various artists from around the world to find your inspiration. 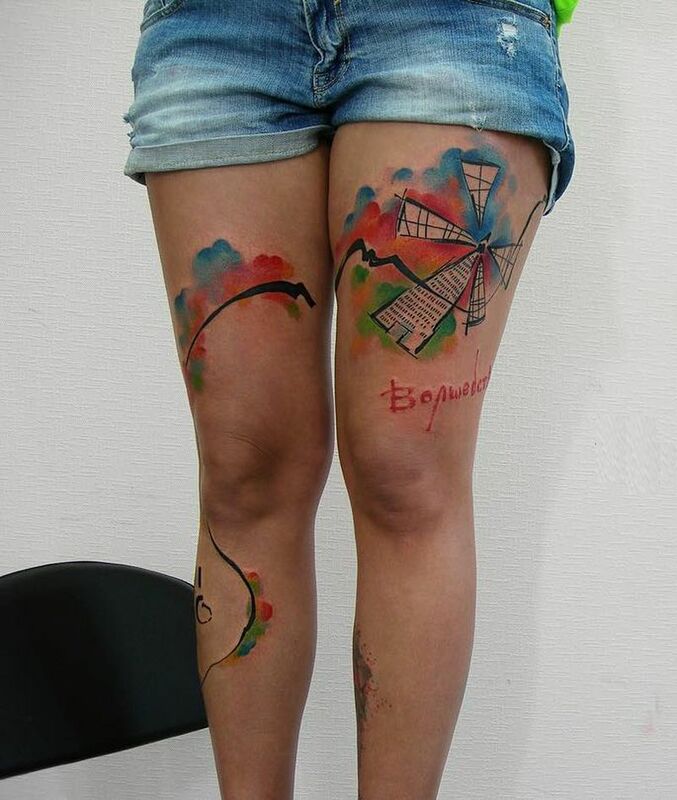 If this is the tattoo style you love, go for it !